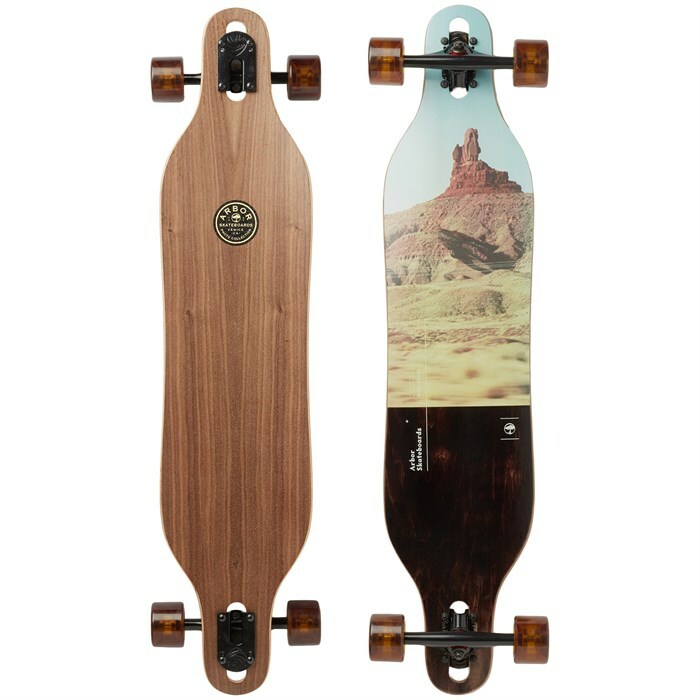 The Arbor Axis Photo Longboard Complete is the ideal board for cruising around town and bombing the occasional hill. A snowboard inspired drop through keeps your center of gravity low for more stability and ease of pushing. Complete with buttery smooth wheels for the most enjoyable ride. Snowboard-Inspired Drop-Through  For easy around town cruising, relaxed commutes, and mellow downhill. Arbor Easyrider Series - Outlook Wheels  The Outlook is a big, smooth cruiser made from soft Venice Formula that won’t back down when carving at high speeds on questionable surfaces. Arbor upped the width to 44mm for increased stability, but the offset design combined with a round lip profile means you’ll still feel that nice balance between grip and slip.